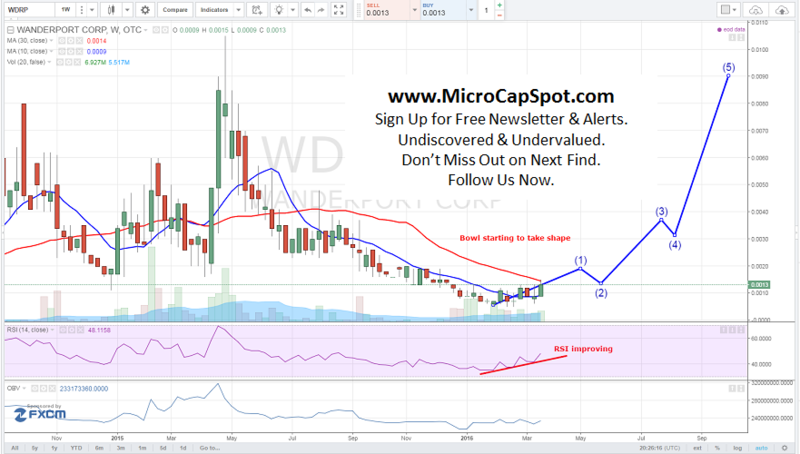 Wanderport Corp. (OTCMKTS:WDRP) stock price has soared since the beginning of February. It has gained over 200% since setting a fresh 52-week low and on increasing volume. The stock ended the day with a gain of almost 60% and with over 5 million shares trading hands. Average daily volume is approximately 1.21 million, so roughly 4 times average daily volume was traded on the day. In recent developments, Wanderport Corp. (OTCMKTS:WDRP) announced that it had developed two new product lines. The first is Cannabios and the other is Trompetol Body Care. The new product lines of the Cannabios and Trompetol products was a result of a strategic partnership with Major Hemp, a wholly owned subsidiary of Sipp Industries (OTC: SIPC). Cannabios is cannabis oil body care products on the market and the brand is highly popular in Europe. Its line consists of balm, shampoo, shower gel, massage oil, sun screen and baby lotions enriched with hemp-derived cannabidios. Trompetol body care are lotions and skin care creams offer an ultra-high quality serum without any artificial coloring, dyes or toxic perfumes. Wanderport Corp. (OTCMKTS:WDRP is a distributor of food, beverages and consumer products made with hemp. Through our wholly owned subsidiary, Green Organic Holdings Corp, we source the market for high quality natural products and make them available through our online, wholesale and retail channels. WDRP is currently trading at a $1.5 million market valuation. The company has developed a stategic partnership with a key player and expanded into two new product lines that should drive new revenues and excitement around the company. This is an exciting time for the company. We will be updating on WDRP when more details emerge so make sure you are subscribed to Microcapspot so you know what’s going on with WDRP. Disclosure: we hold no position in WDRP either long or short at the publication of this article and we have not been compensated for this article.